As the second edition of his guidebook to the Island is published, Terry Marsh recalls some of the highlights of visiting, walking and geocaching on, and writing about, the Isle of Man over almost 70 years – and discovering new delights on every trip. From the highest point of the Isle of Man (or Mann) – the comparatively diminutive summit of Snaefell – they say that you can see seven ‘kingdoms’: those of Scotland, Ireland, England, Wales, the Island itself and the kingdoms of the sea and of heaven, although it’s a mighty long time since any of them had independent kings ruling over them. I first visited the Island – always with a capital ‘I’ – as a child in 1947. It was our annual family holiday and so, naturally, I tried to bury my sister in the sand as the tide was coming in and her response was to push me into the paddling pools (now flower beds) that ran along the sea front in Douglas (perhaps explaining my lifelong fear of swimming). Some years later, I returned to research a feature for BBC Radio Lancashire, and realised that not only had I grown up, but to my mind the Island had, too. Suddenly, as if the cloak of Manannan had been lifted, I was drawn to a magnificent landscape I had not noticed as a child, and before long the potential for a walkers’ guidebook became all too evident. Only one question remained: had Paddy Dillon beaten me to it? 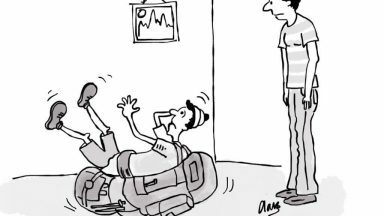 As it turned out he was busy in some far-flung place, and the prospect of a couple of months tramping around the Island loomed large in my thoughts. That Mann, in spite of its small size, had a wealth of walking opportunity was later demonstrated by the successful organisation of a walking festival on the Island, one that is still running today more than ten years on. 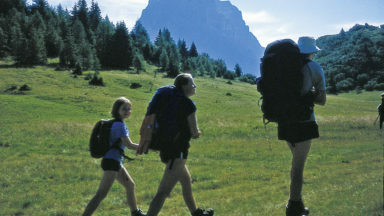 And I’ve also just added a geocaching festival to the Island calendar. 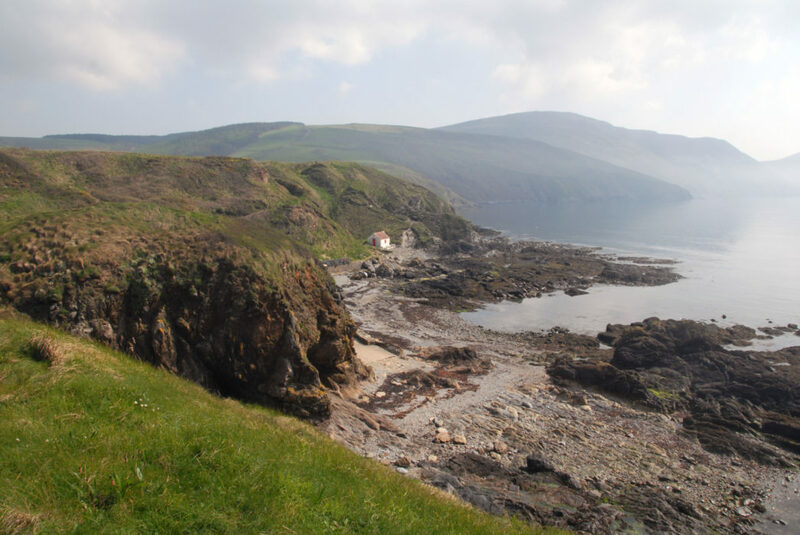 But the Isle of Man is much more than a walkers' destination. The wildlife here is worth the journey alone. 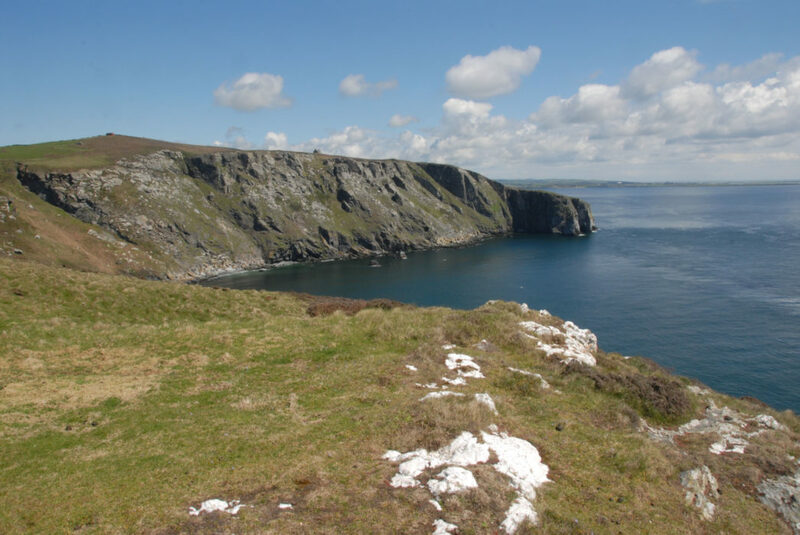 There are whales, basking shark, dolphin and porpoise around the Island's shores, and a rich birdlife hanging over the sea cliffs, glens and moors. It isn't so long ago that a group of us sailed out from Port St Mary, beneath the shag- and chough-crowded sea cliffs of Spanish Head to pass through the tide race at Calf Sound and reach the Calf of Man, a much-favoured breeding ground for Manx shearwater. The landing stage was a jump-and-hope affair, a leap of faith, all the more precarious on the return because now what we were trying to land on was bobbing up and down in the tide. On one trip I walked up the west coast of the Island from Port Erin to Peel in the company of Mike Harding, comedian and so-called 'Rochdale Cowboy'; a keen ornithologist Mike was on the look-out for chough. And just as he told me this, a small flock of six of them took to the wing not more than thirty paces away. Mike’s impassioned response at the timely coincidence was priceless, but unprintable. Given its scale, you might be forgiven for thinking that there was nowhere on the Island to escape the crowds. But this is a place of myriad nooks, crannies and wooded glens – there are no extensive natural woodlands – and coastal walks that look nothing special on paper but all have their hidden charms. Take Langness, for example: this is the southernmost part of the main island, not Spanish Head as many suppose. Here, the lighthouse draws you on following a clear trail that flirts with the coastline and out as far as the rocks and tide will allow to Langness Point, where a rocky outcrop, one of many, will provide shelter for a bit of seal spotting and bird watching, and maybe a glimpse of a passing minke whale. At the other end of the Island, the Point of Ayre lets you gaze northwards into Galloway and east to the Lake District. Here, two tides meet and often provide a dramatic sight in doing so. Elsewhere, at this northernmost tip, the land is flat and sandy, making it especially popular with terns, oystercatchers and other sea birds – guillemot and razorbill – that dart across the waves in line-astern flights, or flocks of knot that wheel about in the air like a golden-hued version of the Red Arrows at practice. If there was one place to come and ‘get away from it all’, this is it and it’s big enough for everyone...just wander west along the Ayres, following the 90-mile coastal path, the Raad ny Foillan, and you’ll soon find a sandy hollow in which to while away the time. The whole of the northern part of the Island is flat; the geology distinctly changes along the Ballaugh–Sulby–Ramsey line as if someone has scored it with a knife. It was up here that the late, great and much-loved Norman Wisdom used to live, near Andreas. On Mann, the word ‘balla’ means ‘place’ – or something roughly equivalent – so, perhaps not surprisingly, his home was called ‘Ballalaugh’. Across the centre of the Island runs the course of the old Douglas-Peel railway, now a superb 10-mile Heritage Trail, popular not only with conventional walkers, but with geocachers, too – there is a so-called ‘power trail’ of 80 caches along its length. 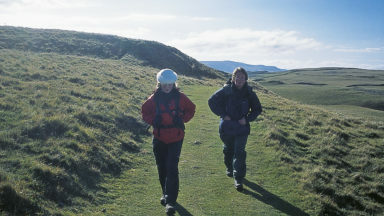 Linking Ramsey and Castletown, the 25-mile Millennium Way was developed to celebrate the Manx Millennium in 1979, the 1000th anniversary of the establishment of Tynwald, the Island’s Parliament. This splendid walk is based on an ancient ridgeway route, known as ‘Via Regia’, the Royal Way, along which the Kings of Man travelled to Castletown, the former capital of the Island. The Way climbs steadily to open heather moorland on the western slopes of Snaefell to reach its highest point at 1,500ft. 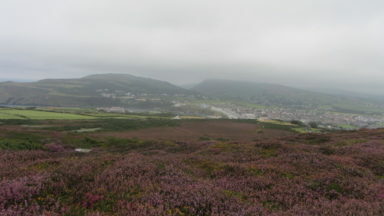 From here it descends to Crosby and follows lowland paths, roads and the banks of the Silverburn river through Ballasalla to the medieval castle of Rushen on the edge of Castletown. 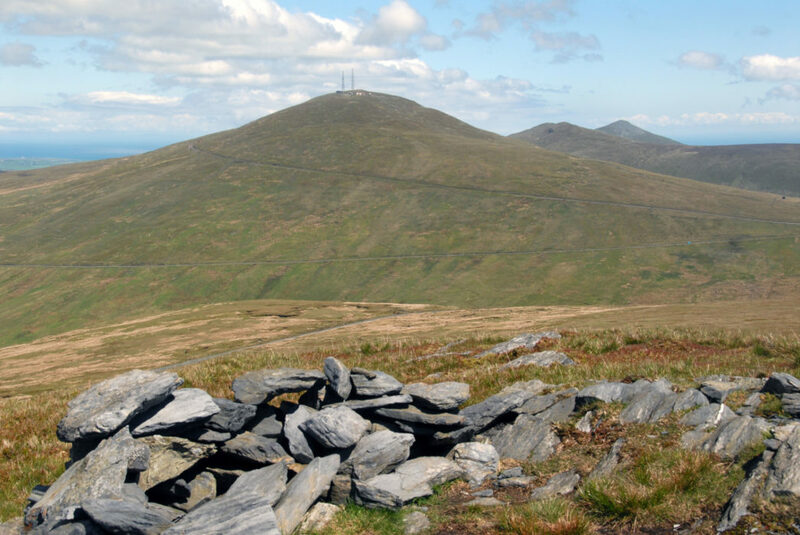 Crowning the Island, Snaefell, at a mere 621m, would in other company be completely disregarded. But not here, and rightly so, for it truly is a magnificent viewpoint that not only takes in the Lakes and southern Scotland, but the Mountains of Mourne in Northern Ireland, and, on a good day, as far as Snowdonia in North Wales. Some might say that this ordinary summit is demeaned by the presence of a café – albeit it a very pleasant café – and being accessed on foot easily enough from the so-called Mountain Road, much loved by motorcyclists, as well as by an electric tram that clanks its way up from the coast at Laxey in about an hour. But it draws the ‘day-trippers’ away from the Island’s other delights, and if you walk north from the summit, descending to cross the tramway you are soon in rough country, of the wildest kind, intercepting the Millennium Way near a group of ancient shielings. It would be rare to see anyone here, and that’s true of many more places on Mann. If I had a pound for every time I’ve visited the Isle of Man, I could buy a crate of decent wine; if I had a pound for every time I’ve heard someone say they’d heard of the Island but not yet got round to visiting, I could buy the Island...well, maybe not. But you get my drift. 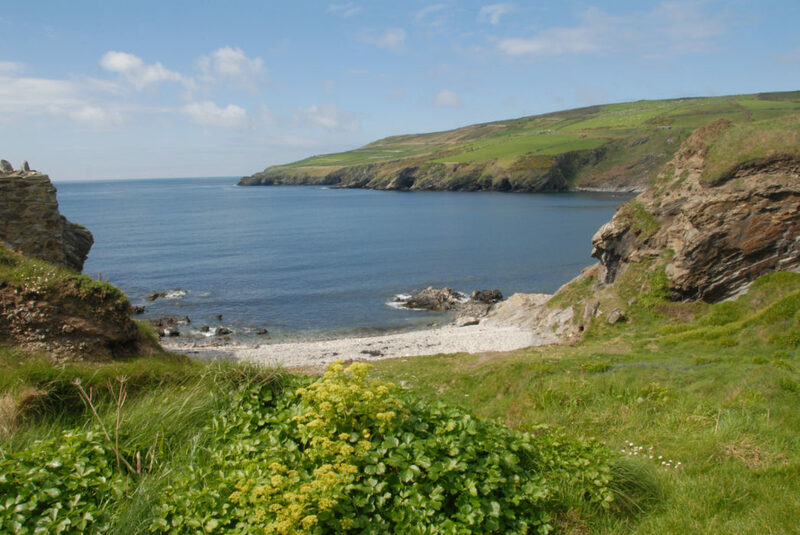 The Isle of Man offers myriad delights whether you are firmly planted in the bucket-and-spade brigade, a walker, geocacher, cyclist, historian or lover of wildlife. I go back each year because I’m always finding something new. After all, I’ve only been visiting for 68 years so, there’s plenty yet to discover. Come and see for yourself.